Make yourself at home in one of the 122 air-conditioned guestrooms. Wireless Internet access (surcharge) keeps you connected, and cable programming is available for your entertainment. Bathrooms with showers are provided. Conveniences include phones with free local calls, and housekeeping is provided daily. Make yourself at home in one of the 33 air-conditioned rooms featuring flat-screen televisions. Complimentary wireless Internet access keeps you connected, and cable programming is available for your entertainment. Bathrooms with showers are provided. Conveniences include desks and irons/ironing boards, and housekeeping is provided on a limited basis. Make yourself at home in one of the 82 air-conditioned rooms featuring microwaves. Complimentary wireless Internet access keeps you connected, and cable programming is available for your entertainment. Bathrooms with shower/tub combinations are provided. Conveniences include desks and coffee/tea makers, and housekeeping is provided daily. Make yourself at home in one of the 120 air-conditioned rooms featuring refrigerators and flat-screen televisions. Complimentary wireless Internet access keeps you connected, and cable programming is available for your entertainment. Partially open bathrooms have deep soaking bathtubs and hair dryers. Conveniences include desks and microwaves, and housekeeping is provided daily. 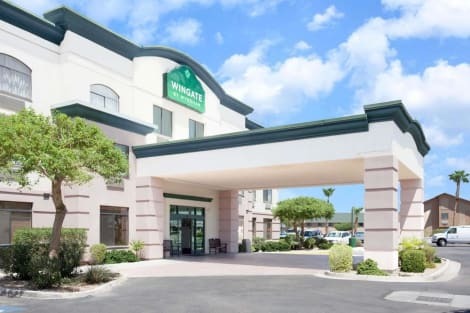 Located in Yuma, Days Inn by Wyndham Yuma is in a shopping district, within a 10-minute drive of Arizona Historical Society Sanguinetti House Museum and Sanquinetti House Museum. This hotel is 2.6 mi (4.1 km) from Yuma Territorial Prison State Historic Park and 3.1 mi (5 km) from Yuma Crossing State Heritage Area. Make yourself at home in one of the 119 air-conditioned rooms featuring refrigerators and microwaves. Complimentary wireless Internet access keeps you connected, and cable programming is available for your entertainment. Private bathrooms with shower/tub combinations feature complimentary toiletries and hair dryers. Conveniences include desks and coffee/tea makers, as well as phones with free local calls. Mingle with other guests at the complimentary reception, held daily. Quench your thirst with your favorite drink at the bar/lounge. A complimentary hot/cold buffet breakfast is served daily from 5 AM to 9 AM. 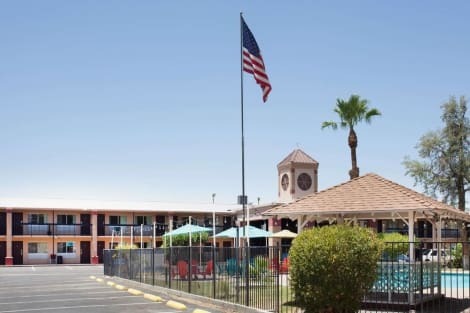 In the heart of Yuma, Historic Coronado Motor Hotel is within a 5-minute drive of Yuma Territorial Prison State Historic Park and West Wetlands Park. This hotel is 7.2 mi (11.6 km) from Marine Corp Air Station Yuma and 10.8 mi (17.3 km) from Arizona Western College. lastminute.com has a fantastic range of hotels in Yuma, with everything from cheap hotels to luxurious five star accommodation available. 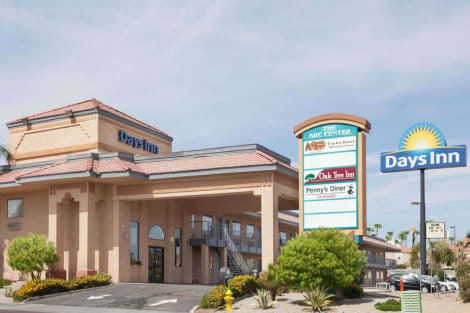 We like to live up to our last minute name so remember you can book any one of our excellent Yuma hotels up until midnight and stay the same night.